Franz Pumaren is one of the most accomplished coaches in college. FRANZ Pumaren has been named to take over next year as the Adamson Falcons head coach, school officials and team backers said on Wednesday. Pumaren's appointment got the nod following a meeting among school officials, stakeholders and representatives from team sponsors Akari Akari Lighting & Technology Corp., Metro Stonerich, and Alliance in Motion Global on Wednesday. His appoinment is set to be announced on Friday in a press conference at the Adamson campus in San Marcelino, Ermita, Manila. Pumaren will start handling the Falcons in January. Spin.ph first reported Pumaren's hiring last Thursday. Pumaren is one of the most accomplished college coaches in the country, having led La Salle to four straight UAAP titles from 1998 to 2011, before winning again in 2007. 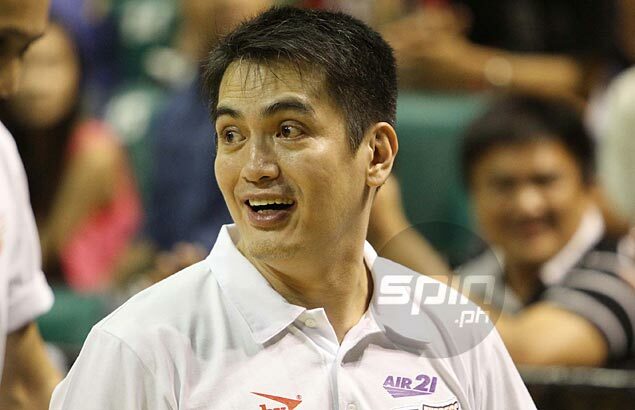 He also coached Air21 in the PBA following his stint in the collegiate ranks. He now takes over a Falcons side that has not reached the Final Four since 2011 under Leo Austria. Pumaren was the choice of Adamson managers particularly the Akari group, whose head is a La Salle alumnus. Also considered for the post, sources said, were former San Beda coaches Frankie Lim and Ronnie Magsanoc, juniors head coach Goldwin Monteverde, and interim seniors coach Mike Fermin.